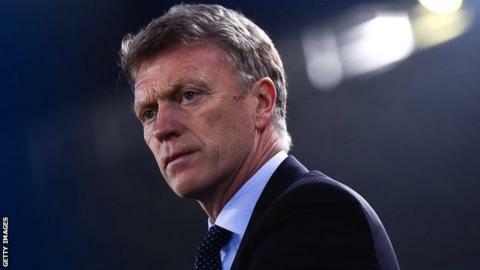 Real Sociedad boss David Moyes has been given a two-match touchline ban after he was sent-off during the match against Villarreal on Wednesday. Former Manchester United manager Moyes, 51, remonstrated with officials over an offside decision and was ordered from the touchline in the Copa del Rey exit. He had to scale a pitch-side fence and once he found a seat, he accepted the offer of a crisp from a spectator. Sociedad, 12th in La Liga, host Rayo Vallecano on Saturday. Moyes has been banned by the Spanish Football Federation for one match for his dismissal by referee Carlos Velasco Carballo and one for climbing into the stands. "I shouldn't have argued with the referee but I thought both of the decisions were incorrect," Moyes said earlier on Friday. "But I left the dugout and I went to watch the game in the stands. I am a football supporter as well and I wanted to watch the game with the supporters. "I've been a supporter all my life. I go to a lot of football games and I thought the supporters were very good."